Hours of painstaking research combined with opinions of professionals led us to declare the Dell Inspiron i7559-7512GRY as the absolute best laptop for your photo editing needs. Although, Dell is not known to specialize in any specific segment of laptops, the powerful processing offered coupled with the comparatively low price tag – make this the obvious choice for the best machine to handle photo editing comfortably. We will take a peek at the close competitors to the Dell Inspiron i7559 and will attempt to glean, why this laptop stands out from the crowd of laptops available in the market. In this highly competitive laptop market, it is tough deciding on a single product and branding it as the best, hence we will assess the features that users and professionals deem necessary for a laptop to handle photo editing in an optimal fashion. Processor – required to run photo editing software smoothly, without lagging or freezing problems. GPU or Graphics Chip – needed to supplement the processor when it comes to using advanced tools such as brushes or performing complex editing work. Portability does not factor in the list of crucial features, as photo editing is usually never done on the move. Although all the features listed are important, the processor and GPU are the most vital features that must not be compromised on, if you are looking to perform complex photo editing tasks without facing frequent system freezes which will slow down your work and bring down your productivity levels. Keeping this in mind, we decided to keep laptops that do not offer: at least an i5 processor and a 1GB discrete graphics chip – out of the list. As central to the photo editing experience – processor and GPU are, there are other factors and features that improve and refine your experience while working. This one is a no-brainer as the object being edited should be fully visible and should zoom in without pixelating to optimize the detail to which you can successfully perform editing on photos. Tiny screens will impair your ability to view details while lower resolutions will ruin the detail that you can view in photos, impairing your ability to edit them successfully. It is therefore not advised to opt for a laptop that has a screen size lower than 13-inches, although, the recommended size is 15-inches. Just like in music production, a healthy amount of RAM is needed to run photo editing software, as they tend to take up a huge chunk of memory, especially if you have 2-3 projects open at the same time. Running out of memory while you are in the middle of editing work will cause a decrease in your productivity levels while raising your frustration levels. Hence, do not opt for a laptop that offers less than 8 GB of RAM. Photos tend to be large in size, especially high resolution ones so it is imperative that ample space is available to store all your photos and projects without having to rely on external hard disks. Although, relying on external hard disks is not unhealthy when it comes to backing up your work; depending on one for storing your primary work files is risky as accidents happen, and one mishap could reduce you to ripping your hair out. It is simply safer to have your data on your laptop, and backed up to your hard disk – so you always have a copy if the need arises. Therefore, laptops that offer less than 750 GB of storage should be given a wide berth. This is one of those features that is great to have, but will not adversely affect your work if you don’t have it. Attaining a noticeable improvement in speed is the only reason to prefer a laptop that has an SSD. 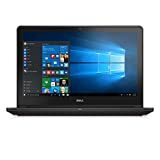 The Dell Inspiron i7559-7512GRY was chosen as the best photo editing laptop due to the amazing performance and upgrade options it offers as well as keeping prices at reasonable levels. It has a 15.6-inch screen with an Ultra HD (UHD) display and is one of the few that offer this resolution at this price range. Additionally, it features a powerful 6th generation i7 processor (2.6 GHz) that makes handling all photo editing software you can throw at it – a pretty smooth affair. Powered by an impressive NVIDIA GTX 960M GPU, the laptop is more than capable of handling any complex task you may want to perform. 1 TB of storage ensures that you do not encounter space crunches frequently, furthermore, Dell also offers a 128 GB SSD to speed up an already powerful and zippy laptop. It also provides an ample 16 GB of RAM that will leave you with plenty of free RAM at all time, whatever task you perform – even gaming. Given its pricing, this laptop is the absolute best considering both value and performance offered. Price is the only reason why this laptop features as a runner-up to the awesome Dell laptop, the Acer Aspire E 15 is the cheapest laptop in this list and considering this – the hardware and features offered are mind-blowing. It is powered by a powerful 6th Gen Core i5 processor that can handle most photo editing tasks comfortably, moreover the NVIDIA 940M graphic chip supplements the processor by providing a reasonably good experience. 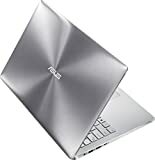 All photo editing software ran well on this laptop and unless you want your laptop to handle highly complex and graphically intensive tasks, this laptop should satisfy your requirements if you are on a budget. Although it offers a 17-inch variant, the laptop becomes too bulky if you opt for it; hence the 15.6-inch variant with a Full HD screen is recommended. Big screens are better, but not to the point that they become a nuisance portability-wise. It has just enough RAM (8GB) that is adequate for the tasks to be performed while photo editing. Although it does come bundled with a relatively slow hard disk (5400 rpm), the 1 TB storage space should satisfy most of your storage needs, albeit being a slightly slower experience than more costly laptops. Microsoft’s latest laptop offering had been branded as the MacBook killer, long before its launch. Thankfully, Microsoft seems to have delivered an amazing piece of machinery that features top of the line hardware, custom made for the Surface Book, not unlike what Apple does. The sleek design and powerful hardware do come at a steep price, and is the costliest offering on this list. Rather pricey, the high-end variant of the Surface Book is your perfect companion if you have don’t mind spending a good chunk of money. Featuring an i7 processor and a specially designed discrete GPU from NVIDIA – this laptop can handle anything you wish to throw at it. The 16GB of RAM provided in the best variant is sufficient to handle all your photo editing requirements without running out of memory, even if you have multiple projects open. Microsoft decided to take it to the extreme by providing a 1TB SSD, yes that’s not an error, indeed an SSD. This makes sure that any task you want to perform is handled at lightning fast speeds. The 13.5-inch display is the only downside to this laptop as it is the bare minimum size needed for photo editing, although the astounding resolution of 3000×2000 it offers is no joke. Add to this, support to use a Surface Pen (stylus), and you have the ultimate editing tool in your hands, albeit a small one. The MacBook Pro is a mean machine, for every task under the sun, however the price tag at which it is offered hurts its ranking and the only reason it isn’t dead last in the top 5 list is because of the pleasant and smooth Mac OS experience coupled with users being able to avail a lot of photo editing apps that are exclusive to Mac. The i7 processor is the most powerful one available on a laptop clocking at 2.8GHz, making it a brisk performer. Add to that an AMD R9 M370X GPU and you get a powerhouse of a laptop; one that can handle any task at blindingly fast speeds. 16GB of RAM and a 1TB SSD it offers assure you that you will never face memory or storage shortage while enhancing your output with quicker responses and loading times to every app you install and run. Apple’s beautiful retina display, although not 4K, is pristine and looks amazing with a resolution of 2880×1800. This makes this 15-inch laptop a great tool for photo editing, even allowing minute tweaks to your photos. The ZenBook Pro UX501VW is a power packed performance laptop offered by Asus. This laptop does not fall into the budget category by any means and offers a full workstation experience in a small package. Flaunting a pristine 15.6-inch 4K (3840×2160) display, it offers enough screen real estate for photo editors to work. It provides 16GB of memory to guarantee that you will never fall short of memory. At its core, it houses an i7 6th Generation processor and a discrete NVIDIA GTX 960M GPU, which is the same hardware as the Dell Inspiron i7559. Although this hardware is sufficient to perform all photo editing and graphics-intensive tasks, it begs the question – why not go for the Dell instead? The answer to that is the presence of a 512GB SSD in the laptop. However, this feature does not warrant a significant markup in price for less storage for the majority of people looking to edit photos, although it might be exponentially faster than traditional hard disks. The price is the only reason for this laptop to rank 5th in our list of the best laptops for photo editing. The Dell Inspiron i7559 just offers way too much for its price which makes it impossible to overlook for the top rank in this list of the best laptops for photo editing. The impressive hardware, ample storage space and a beautiful screen make this laptop an obvious choice for photo editing and thus, is the recommended laptop to purchase. I seriously love your site.. Pleasant colors & theme. Did you create this amazing site yourself? Please reply back as I’m hoping to create my own blog and would love to learn where you got this from or what the theme is named. Thank you! Definitely helpful post. Can you share your hosting company name with me? This site loading speed is really amazing. Whatever, I use Dell Inspiron i7559-7512GRY. Truly, it’s awesome for SSD card which helps me to Photo edit. In case of buy a laptop in desired budget, this post will help us to take a decision about choosing a laptop. Thanks for sharing it. I’ve tried really hard to optimize the site so it loads quick for my readers. The site is hosted on Digital Ocean on a VPS. It’s really easy to get started with DO. The Inspiron i7559 is a fantastic laptop, I’m glad you like it!